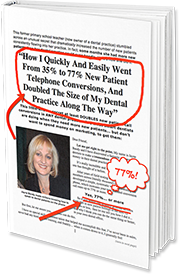 The Dental Phone Excellence One Day In-Practice Training will give you insight into how your team communicates with patients and what is needed to start developing more effective communication skills on the phone and face to face with your patients at the practice. New eyes in your Practice are always very valuable and often a rare opportunity given to your business. On this day, Jayne will aim to build on the patient communication skills your team already have and help develop their confidence when interacting with patients in the practice and on the phone. Jayne will provide you with a full report after the day with her recommendations for further Team Training.